itself to inform the user of these changes. 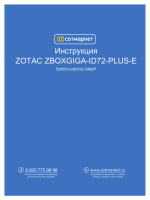 User’s Manual V1.1 for Q67M Series mother�oard. �etter, and tells you how to avoid pro�lems. household waste disposal service or the shop where you purchased this product. All images are for reference only, please refer to the physical motherboard for speciic features. Tested to comply with FCC standards. comes out as a spark which will quickly damage your electronic equipment. components such as a mother�oard, CPU or memory. the power supply cord may result in serious damage to your system. computer if the CPU fan is not properly installed. CPU is overclocked. Normal operation depends on the overclocking capacity of your device. connections might damage the mother�oard. When handling the motherboard, avoid touching any metal leads or connectors. recommend using a 24-pin ATX power supply to get the best performance. voltage setting has been conigured to the local standard. the use of the product, please consult a certiied computer technician. only what you need for �reak-through performance. ena�les you to unleash more power from your computer. Use the lower port (purple) to connect a PS/2 keyboard. USB keyboard/mouse, USB printer, USB lash drive and etc. This is output of RS232 COM1 port. To connect with external display devices, such as monitor or LCD display. depicted in the ta�le a�ove. The Ethernet LAN port provides Internet connection at up to 10/100/1000Mb/s data rate. Please visit the following we�site for more supporting information a�out your mother�oard. Make sure that the motherboard supports the CPU. installing the CPU to prevent hardware damage. Locate the pin one of the CPU. The CPU cannot be inserted if oriented incorrectly. Apply an even and thin layer of thermal grease on the surface of the CPU. and damage of the CPU may occur. hardware speciications including the CPU, graphics card, memory, hard drive, etc. Locate the alignment keys on the mother�oard CPU socket and the notches on the CPU. cord from the power outlet to prevent damage to the CPU. 1. Release the CPU socket lever. put the CPU onto the socket. Follow the steps �elow to correctly install the CPU cooler on the mother�oard. 1. Apply and spread an even thermal grease on the surface of CPU. on the mother�oard. That's it. be ixed as depicted in the picture. with the direction of arrow (counterclockwise). 2. Pull the push pin straight up. adhere to the CPU. Inadequately removing the CPU cooler may damage the CPU. This mother�oard provides four DDR3 memory sockets and supports Dual Channel Technology. When memory is installed, the BIOS will automatically check the memory in your system. used and please select dual channel irst to achieve optimum performance. memory of the same capacity, �rand, speed, and chips �e used. installing the memory to prevent hardware damage. one direction. If you are una�le to insert the memory, switch the direction. to install DDR3 DIMMs on this mother�oard. install your memory modules into the sockets. Spread the clips at �oth ends of the memory socket. place when the memory module is securely inserted. 1. Locate an expansion slot that supports your card. Remove the metal slot cover from the chassis �ack panel. 4. Secure the card's metal bracket to the chassis back panel with a screw. 5. After installing all expansion cards, replace the chassis cover. Gently insert the graphics card into the PCI Express x16 slot. the PCI Express x16 slot. the card and then pull the card straight up from the slot. that came with your expansion card. installing an expansion card to prevent hardware damage. the connector and make sure it is secure. the devices have �een installed properly �efore applying the power supply. Connect the 8-pin ATX 12V power supply to PWR2 and provides power to the CPU. provides the Front Audio output choice. The connector is used for S/PDIF output. ports on the front panel. the front panel switch and LED Indicators. Connect to the chassis front panel IDE indicator LED. It indicates the active status of the hard disks. This 2pin connector is directional with +/- sign. S4 sleep state or power off mode (S5), the LED is off. This 2-pin connector is directional with +/- sign. with 10-pin female connector to connect with COM1 connector in the mother�oard. There are two main fan headers on this mother�oard. 1. For any jumper on this motherboard, pin 1 can be identiied by the bold silkscreen next to it. 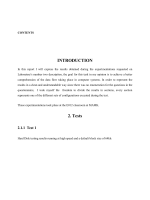 However, in this manual, pin 1 is simply la�eled as “1”. prevent hazardous ESD (Electrical Static Discharge) pro�lem. factory default when the BIOS settings were mistakenly modiied. 1. Turn off the computer, unplug the power cord from the power outlet. 3. Return the setting to its original with pins 2-3 closed. 4. Plug in the power cord to your computer and turn it on. 5. Go to BIOS Setup to conigure new system as described in next chapter. Before lashing BIOS ROM, you need to set MFG jumper to pins 1-2 irst. This mother�oard uses MFG jumper to ena�le or disa�le Intel® Management Engine function. Set the jumper to pins 1-2, you can disable the Intel® Management Engine function. Set the jumper to pins 2-3, you can enable the Intel® Management Engine function. BIOS Setup menus. Detailed descriptions of the BIOS parameters are also provided. Power On Self Test (POST) process. 2. You want to change the default CMOS settings. we�site for updated manual if it is availa�le. the screen, you can press <DEL> key to enter Setup. shall not �e responsi�le for any damage which resulted from the change you made. time and so on. They all can �e viewed or set up through this menu. The advanced system features can �e set up through this menu. All the items related with Green function features can �e setup through this menu. use of your computer. If you set a password, the system will ask you to key in correct password �efore �oot or access to Setup. current system. You also can save or discard the changes and exit BIOS setup here. Month—month from 1 to 12. Date—date from 1 to 31. Year—year, set up �y users. Use [ENTER], [TAB] or [SHIFT-TAB] to select a ield. Use [+] or [-] to input the value. select a ield. Use [+] or [-] to input the value. The three ields of the setting are <hour> : <minute> : <second> respectively. This item shows the model name of this product. It displays the current ME version. service people if a BIOS upgrade is needed. This item shows the BIOS �uilding date and time. [All Errors]: All errors can result in system halt. [No Errors]: No error can result in system halt. [All, �ut key�oard]: All errors �ut key�oard can result in system halt. It displays the current CPU name. This item displays the total memory size. The size is depending on how many memory modules are installed in your system �efore powering on. This item displays the on�oard LAN MAC address. Press <Enter> to go to relative su�menu. incremented from +12.5mV to +500.0mV. computer, otherwise the operation system can not show the relative information. when a HLT (halt) command is issued. This item is used to ena�le/disa�le the C1E support. This item is used to ena�le/disa�le the Hyper-Threading Technology feature. This item is used to ena�le/disa�le the Execute Disa�le Bit feature. overlow attacks when combined with a supporting operating system. �uffer, the processor disa�les code execution, preventing damage and worm propagation. managers can free IT resources for other initiatives. feature and the setting is used to ena�le/disa�le it. This item is used to ena�le or disa�le CPU C6(ACPI C3) report to OS. It is used to select the C-State mode. You can select the EIST (Processor Power Management, PPM) through this item. system. Please refer to Intel We�site for more information. Turbo mode allows processor cores to run faster than its marked frequency in speciic condition. It appears only when the “EIST” is ena�led. When the “Turbo Mode” is enabled, this limit is for 1/2/3/4 core active. 0 means using the factory-conigured value. This item is used to select DVMT Mode used �y Internal Graphics Device. This item is used to select DVMT/FIXED Meory size used �y Internal Graphics Device. This item is used to ena�le or disa�le the support for USB devices. key�oard or mouse, set to ena�led. [Ena�led]: This option will ena�le the legacy USB support. [Disa�led]: This option will keep USB devices availa�le only for EFI applications. [Auto]: This option will disa�le the legacy support if no USB devices are connected. This item is used to ena�le or disa�le the AMT(Intel Active Management Technology) function. This item is used to set the OS WatchDog timer. This item is used to set the BIOS WatchDog timer. This item is used to ena�le or disa�le the on�oard LAN controller. This item is used to ena�le or disa�le on�oard LAN �oot option ROM. This item is ena�le oe disa�le the Azalia HD audio. Press <Enter> to go to its su�menu. This item is used to ena�le or disa�le the parallel port. This item shows the resource assigned to the parallel port. This item is used to select an optimal settings for the parallel port. This item is used to change the parallel port mode. This item is used to ena�le or disa�le the CIR controller. This item is used to ena�le or disa�le the Floppy disk controller. This item is used to ena�le or disa�le the serial port (COM). This item shows the resource assigned to the serial port. This item is used to select an optimal settings for the serial port. This item is used to change the serial port mode. This item displays the current using memory information. These items display the memory size installed on each slot. improve performance of I/O devices in virtualized environment. This item is used to select which graphics controller is used as the primary �oot device. This item is used to ena�le or disa�le the IGD Multi-Monitor �y internal graphics device. This item is used to ena�le or disa�le the ME su�system. This item is used to ena�le or disa�le the execute MEBx(Management Engine BIOS Extension). This item is used to ena�le or disa�le the Integrated Clock Chip(ICC). This item is used to ena�le or disa�le the ICC clock. This item is used to ena�le or disa�le send ICC lock registers. This item is used to enable or disable the ICC proile support. This item appears only when the Set Proile is enabled, it is used to set ICC proile index. This su�menu is used to display or set ICC clock spread spectrum if the function is supported. availa�le settings are: On (default) and Off. This item is used to ena�le/disa�le the quiet �oot. [Disa�led] : Displays the normal POST messages. [Ena�led] : Displays OEM customer logo instead of POST messages. BIOS auto detect the presence of boot devices, you can conigure the priority for boot devices. to previous state when the STR function wakes. This item is used to enable/disable the PS2 keyboard to generate a wake up. This item is used to ena�le/disa�le the on�oard LAN to generate a wake up. This item is used to wake up the system �y a USB device when it is staying at S3 state. This item is used to ena�le/disa�le the PCI device to generate a wake up. This item is used to ena�le/disa�le the PCI Express device to generate a wake up. This item is used to ena�le/disa�le RTC alarm event to generate a wake up. RTC is system real time clock. When Resume by RTC is enabled, select a speciic date to generate a wake up. When Resume by RTC is enabled, select a speciic time to generate a wake up. Enabled: S1/S3/S4 is normal, S5 wake up only by pressing the power button. This item is used to ena�le or disa�le case open warning function. These items show the current CPU temperature detected automatically �y the system. These items show the current System temperature detected automatically �y the system. This item shows the current CPU Fan speed detected automatically �y the system. This item shows the current North Bridge Fan speed detected automatically �y the system. This option is used to ena�le or disa�le smart fan function. Default value is [Disa�led]. This item is used to install or change administrator password. This item is used to install or change user password. If you select this option and press <Enter>, a message will �e displayed in the screen. [No] or <ESC> to return to the main menu. Optimal defaults are the �est settings of this mother�oard. Always load the Optimal defaults after updating the BIOS or after clearing the CMOS values. Select this option and press Enter, it will pop out a dialogue �ox to let you load the defaults. installed), the system might fail to work. and press <Enter>, then the system will directly �oot from the selected devices. will �e reorganized and unique to each module, please understand. and the main menu will �e displayed on your PC screen to guide you how to install. and you need to restart your computer after all the drivers have �een installed. features help user to improve (or overclock) your system without �eing a computer literate. *1, : If RAID is �uilt in the system, the items will appear when you run CD drive in operation system. Use these options to install all the drivers for your system. You must click "Intel Chipset Driver"
install, or you can click on each individual driver to install it manually. CPU voltages, fan speeds, and other system performance options. Monitor hardware temperatures, voltages, frequencies and fan speeds. CPU clock �ased on your current system loading. FOX ONE, then BIOS control will �e �ack again. it also means the feature is supported. Voltage Monitoring is supported only in FOX ONE Premium & Deluxe products. Fox Intelligent Stepping is supported only in FOX ONE Deluxe products. Use the tool�ar to navigate to other pages. is in a�normal state, the alert lamp color is red. place on your screen to help you monitoring system status. your favorite skin (FOX ONE Panel). Click this �utton to exit the program. �e displayed on Simple Mode screen. Minimum value is 1 second. �y one in Simple Mode. what the CPU clock should �e. Step 1 : Click Cali�ration icon, a message pops out to ask for continue. Select Yes. Step 2 : After data is collected, it will ask you to restart your computer now. �e calculated �y FOX ONE automatically or manually input �y yourselves. You can press the up/down �utton to adjust your CPU clock. again, it will display a recommended highest CPU clock for you, click <Yes> to apply it. at a CPU clock of 255MHz. 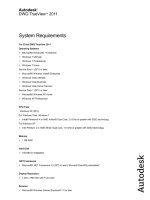 This page lets you set memory and PCI Express frequencies �y manual. This page lets you to set CPU high limit temperature and ena�le the alert function. This page lets you to set system high limit temperature and ena�le the alert function. This page lets you to set CPU fan low limit rpm and ena�le the alert function. This page lets you to set system fan low limit rpm and ena�le the alert function. This page lets you to set FAN1 fan low limit rpm and ena�le the alert function. 0.05V/step, and North Bridge is 0.04V/step. This page lets you ena�le Smart Fan function or set the fan speed �y manual. When Smart Fan is selected, you must use a 4-pin CPU cooler in your system. This page lets you know your system BIOS information. *** : please refer to the physical mother�oard for detail. which it is stored, prevented that you may need them to recover your BIOS later. BIOS) �efore the setup wizard starts. to ind it out and write its name down to remember it. BIOS from Internet. Then follow the wizard to inish the update operation. drivers from Internet. Then follow the wizard to inish the update operation. Internet. Then follow the wizard to inish the update operation. BIOS/drivers/utilities from Internet. Then follow the wizard to inish the update operation. message on the task �ar to inform you to do the next step. Dou�le click on the icon as show �elow, you can see the detailed information. auto search from internet and prompt you to install the new version. run when the system starts up.. This page shows some information a�out FOX LiveUpdate. "Quiet Boot" setting in "Advanced BIOS Features" menu. or the mother�oard will �e damaged seriously. formats : Report, Data Fields and Memory Dump. With DMI information, system maker can easily analyze and trou�leshoot your mother�oard if there is any pro�lem occurred. Please operate this utility as the comments shows. 1. Follow 5-1 to create a RAID driver diskette. 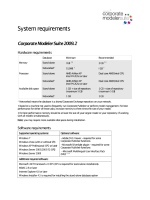 (Windows Vista has in-�ox driver �y its own and can skip this step). 2. Follow 5-2 to set BIOS setting "SATA Mode" to RAID or AHCI. 3. Follow 5-3 to create RAID in BIOS. 4. Follow 5-4 to Install Windows Operating System. 3. Several SATA hard disks. 4. A RAID driver diskette. 5. A mother�oard driver CD. 6. Windows XP or Vista Install CD. following RAID conigurations are provided for users. and possibly ixed (known as fault tolerance). disk arrays typically provide the facility to select the appropriate RAID coniguration. keeps running as much of the time as possi�le. demand TV programs to many viewers. block size can be set from 4KB to 128KB. RAID 0 does not support fault tolerance. one of the most popular implementations of RAID. speed and relia�ility, �ut you need four SATA hard disks. capacity, or data safety provided �y different RAID functions. second volume will also �e well descri�ed. <Enter>, <Del>...etc. it is to help making your selection easier. Installing a new Windows XP in a brand new RAID system. 1. Install SATA hard disks into the drive �ays. other end to SATA hard disk. 3. Connect SATA power ca�le to the power connector of SATA hard disk. follow the same rule as descri�ed for RAID. a RAID driver diskette for use in installing your Windows XP system. Windows Vista has native RAID driver in itself, you can skip these steps. drive A:, this diskette will �e formatted later. Put the driver CD into DVD-ROM drive. Intel\RAID\Floppy\32bit, click on RaidTool icon to start the creation. 3. Click "GO" to start. 4. Select the desired destination FDD drive. FDD. Click "OK" to continue. 5. Insert a diskette, click "OK" to continue. RAID driver into this diskette. 9. Check if the diskette contains the driver iles. 10-1. Shut down your computer. 1. Enter the BIOS setup �y pressing <DEL> key during the POST(Power On Self Test). 2. Select the “SATA Coniguration” from the “Advanced”, then set the “SATA Mode” option to [RAID Mode]. 3. Press <F4> to save the setting then PC will reboot itself. Utility. Press the <Ctrl>+<I> to enter Coniguration Utility. 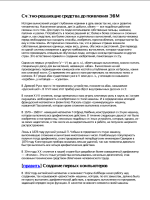 Copyright(C) 2003-10 Intel Corporation. All Rights Reserved. 1. Select “1. Create RAID Volume” from the menu and press <Enter>. to apply it. Here, we name it as TryRAID0 to replace the default Volume0. RAID0 (Stripe) and press <Enter>. RAID 0: Stripes data (performance). an example. Press <Enter> key to inish the selection. 16K - Best for sequential transfer. 64K - Good general purpose strip size. 128K - Best performance for most desktops and workstations . The default value is 128K for RAID0. Press <Enter>. and D:) in a RAID0 system, so we only key in 150GB here to build the irst volume. 8. In “Create Volume” item, press <Enter>. 2. In "Name" item, we name it as TryRAID0-1 for second volume. RAID0, 1 can be selected. Select RAID0 (Stripe) and press <Enter>. The default value is 128K. Press <Enter>. 7. Select “Create Volume” and press <Enter>. 1. Select “1.Create RAID Volume” from the main menu and press <Enter>. <Enter> to apply it. Here, we name it as TryRAID1 to replace the default Volume0. 3. In “RAID Level” item, you can use Up or Down arrow key to make a selection. Select RAID1 (Mirror) and press <Enter>. Select 2 disks to use in creating the volume. 74.5GB hard disks. Press <Enter> key to inish the selection. 6. It will skip “Strip Size” menu for RAID1. Press <Y> to create the volume and return to the main menu. <Enter> to apply it. Here, we name it as TryRAID10 to replace the default Volume0. Select RAID10(RAID0+1) and press <Enter>. RAID 10: Mirrors data and stripes the mirror. four disks are selected for RAID10, so there is no need to go to Disks option. Size” menu. The default value is 64K. twice the smallest hard disk size, that is, 74.5GB * 2 = 149GB. <Enter> to apply it. Here, we name it as TryRAID5 to replace the default Volume0. Select RAID5(Parity) and press <Enter>. RAID 5: Stripes data and parity. Select 3 to 6 disks to use in creating the volume. hard disks for an example. Press <Enter> key to inish the selection. Size” menu. The default value is 64K. Press <Enter>. twice that of the smallest hard disk size, that is, 74.5GB * 2 = 149GB. RAID5 is seen, so press <DEL> key to continue. Press <Y> key to conirm the volume deletion. ALL DATA ON SELECTED DISKS WILL BE LOST! crash the system, but for RAID1, RAID10 and RAID5, they all can be rebuilt. hard disk the new re�uild will �e performed. Example 1. Reset a RAID0 system. them. Select “3. Reset Disks to Non-RAID” in main menu and press <Enter>. 2. A warning message is displayed. and revert it to a non-RAID disk. WARNING: Resetting a disk causes all data on the disk to �e lost. Select the disks that should �e reset. conirmation message pops out, press <Y> to conirm. 4. It goes back to Main menu with a "Failed" status of RAID0 volume. 1. A TryRAID5 volume was built with three hard disks, we want to reset one of them. Select “3. Reset Disks to Non-RAID” in main menu and press <Enter>. <Enter>. A double conirmation message pops out, press <Y> to conirm. Resetting a disk causes all data on the disk to �e lost. hard disk for rebuilding. Here, we select ST 74.5GB. Press <Enter> to select it. a re�uild. re�uild completes 6. 6. Operating System will perform the re�uilding later. Volume with “Re�ulid” status will �e re�uilt within the operating system. 2. Use Up or Down key to make a selection to enable Recovery or Master disk. Actions will result in change from Contious Update mode to On-Request. Select a Recovery volume to do the operation. 1. Take TryRAID5 as an example, select “5. Exit” in main menu and press <Enter>. detect it during the installation, and you could �e confused. 4. Remove any diskette from loppy drive. 5. Restart computer to start Windows installation. follow these steps to install your Windows XP system. 1. Press <DEL> to enter BIOS Setup during POST. 2. Insert the Windows installation CD into the optical drive. 3. Set the “Boot Option #1” to CD/DVD ROM, save changes and exit the BIOS setup. 4. The computer will reboot, and it will start installing Windows Operating System. immediately, and it keeps loading iles until the next screen displays. Press F6 if you need to install a third party SCSI or RAID driver. to continue the speciic driver installation. 7. Depending on South Bridge chip of your system, select appropriate driver for it. Here, we choose Intel® ICH8R/ICH9R/ICH10R/D0/PCH SATA RAID Controller. Press <Enter> to select it. using a device support disk provided �y an adapter manufacturer. wanted. Press <Enter> to continue. copy iles...etc., until the whole Windows is setup. Use the UP ad DOWN ARROW keys to select an item in the list. To set up Windows XP on the selected item, press ENTER. To create a partition in the unpartitioned space, press C.
To delete the selected partitions, press D.
11. Follow the Windows XP install processes to inish the set up.